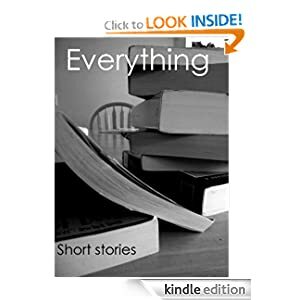 Two of my short stories are featured in a collaborative short story anthology titled Everything available through Amazon for $0.99. The anthology also includes stories from Pat B, Nancy Cavanaugh, and Natalie Mendez. This collaboration is a direct result of meeting across Google+, which continues to be a cool experience. Danke, Google, danke. The Red Balloon. Linus Martin has watched as the recession has taken its toll on those he manages, while it appears his superiors reap their own rewards. 18 Wheels. Tom, lone truck driver, takes on a new charge in the form of a passenger. Her name’s Luna, a teenage runaway. It was meant to be a simple pick up and drop off, until a very complicated relationship forms between the two.